Do you stay in Andhra Pradesh? Are you tired of spending money on internet refills? Do you want to learn about the best recharge packs to get excellent 3G services on your Airtel prepaid card? Recharge your Airtel card with Rs.15 and enjoy 80MB 3G data for 2 days. If you are traveling somewhere or wish to check the speed of 3G, refill your card with Rs.11 and get 45MB 3G and 4G data for 1 day. Unable to save money to enjoy the speed of 3G or 4G? Refill your Airtel card with Rs.17 and get 65MB 3G or 4G data for 2 days. The moment you refill your Airtel card with Rs.24, you land on the speed of 100MB 3G or 4G data for 2 days. If you refill your Airtel card with Rs.27, you enjoy the speed of 70MB 3G or 4G data for 30 days. Use this pack for a speed of 75MB 3G or 4G with a validity of 30 days and enjoy watching all the movies that you want to. For a speed as good as 110MB 3G or 4G for 28 days, use this recharge amount, sit back in your chair and relax. Go ahead and use this recharge amount for a speed of 200MB 3G or 4G for 5 days; you won’t ask for more! For an internet pack of 7 days, use this recharge amount that has a speed of 270MB 3G or 4G. Isn’t 91 a lucky number? It surely is for those who want to enjoy an internet speed of 275MB 3G or 4G for 7 days! Refill your Airtel card with Rs.91 and see the magic. It is not just 1 rupee lesser than 100, but 100% better than all the recharge amounts in the list; use this recharge amount for a speed of 400MB 3G or 4G data for 11 days. The number that’s said to be good; refill your card with Rs.101 and you’d enjoy the speed of 1GB 3G or 4G data for 2 days. Another beautiful number for those who believe in the concept of lucky numbers; when you enjoy 1GB 3G or 4GB data plan for 28 days, Rs.121 is surely an amazing amount to refill your card with. Refill your Airtel card with an amount of Rs.146 and you’d get a speed of 550MB 3G or 4G data for 15 days. What more would you wish for? Use this awesome recharge number for an internet speed of 500MB 3G or 4G data for 28 days. Add one more buck to Rs.148 and enjoy a speed of 600MB 3G or 4G internet data for 16 days. This is the best speed for all the speed lovers! Knock knock ¬– who’s there? Recharge – recharge who? Recharge of Rs.186 for a speed of 400MB during the daytime and an additional 400MB during the night time (12AM to 6Am) for 28 days! Don’t sit there waiting for a good offer; this is the offer meant for you if you want to use internet for 14 days! This amount gives you an internet speed of 550MB 3G or 4G data. Sick of your internet speed? Want to get the best internet deal? Then this is the amount meant for you! Use this recharge amount for a speed of 198 – 800MB 3G or 4G data for 21 days. This amount is surely good for all those who want to use internet for 2 weeks (14 days) with a speed of 625MB 3G or 4G data! Go a level up by adding 10 bucks extra to 209 and refill your Airtel card with 219 to enjoy 650MB 3G or 4G data for 14 days. Gone are the days of other refill packs for internet, now is the time to refill your Airtel card with Rs.255 to get 800MB 3G or 4G internet pack for 21 days. Forget about the rest of the recharge packs; use Rs.259’s recharge pack and get 1GB 3G or 4G data speed for 28 days validity. When you use this refill for your Airtel card, you get 1GB 3G or 4G data speed during the daytime plus an additional 1GB during the night time (12AM to 6AM) for a period of 28 days. If you want to download a few things, refill your Airtel card with Rs.298 and get a speed of 1.25GB 3G or 4G for 21 days. For a period of 28 days, you get a speed of 1.25GB 3G or 4G data, if you refill your card with this amount. The moment you refill your phone with this amount, you enjoy an internet speed of 1.3GB 3G or 4G data for 21 days. Use this refill pack for an internet speed of 1.4GB 3G or 4G for a period of 21 days. Did we just give you good news? Yes – we did! The number 346 is going to bring happy times in your life with an internet speed of 346-1GB 3G or 4G plus an additional 2GB at night (12AM to 6AM); this pack remains valid for 28 days. Happy times are here again, happy times are here to stay! You are going to sing these words over and over again by refilling your Airtel card with Rs.359 for an internet speed of 359-2GB 3G or 4G for a period of 28 days! You’re going to be at peace by learning about this offer – Rs.459 is the refill amount for you if you want an internet speed of 459-3GB 3G or 4G for 28 days. Got Airtel card? Then refill it with Rs.496 and get a speed of 1GB 3G or 4G with an additional 5GB speed during nights (12AM to 6AM). This internet pack remains valid for 28 days. Stop crying over the speed of your internet, bring in the flavor of 2GB 3G or 4G speed for the next 28 days by recharging your Airtel card with this amount. Double five nine is not just another number for Airtel card users; Rs.559 allows you to enjoy an internet speed of 4GB 3G or 4G for a period of 28 days. Want to be cool in front of your friends? Download awesome songs without using Wi-Fi by refilling your Airtel card with Rs.575; it gives you a speed of 2GB 3G or 4G data for 60 days! It is time for you to start browsing for a job on your cellphone by refilling your Airtel card with Rs.599 for a speed of 4.5GB 3G or 4G for 28 days. Happy now? Maintain that smile! You won’t use any other internet refill pack after refilling your phone with Rs.659 because this amount provides you with an internet speed of 5GB 3G or 4G with an additional data of 5GB – 7GB at 80KBPS. Once you cross 7GB, the speed goes to 10KBPS; this internet pack remains valid for a period of 28 days. Wondering what to do with your slow and tiring internet speed? Refill your Airtel card with Rs.699 and enjoy a speed of 5.5GB for 3G or 4G with an additional 5.5GB to 7.5GB data @ 80KBPS speed. Once you cross 7.5GB, the speed goes to 10KBPS; this pack is valid for a period of 28 days. Use this amazing internet pack for a speed of 3GB 3G or 4G. This is valid for 28 days. You can add Rs.99 for 1GB data for 6 months, along with Rs.259 for 2.5GB data. The speed of your internet has to be fast or else there’s no point in having a phone with an internet connection; refill our phone with Rs.799 and enjoy a 3G or 4G internet speed of 6.5GB data with an additional data of till 8.5GB at 80KBPS speed. Once you cross 8.5GB, the speed goes to 10KBPS for a period of 28 days. Use this internet pack amount for 3G or 4G internet data of 7.5GB. This pack remains valid for a period of 28 days. Want to refill your internet pack for 28 days? Then use this pack for 3G or 4G internet data of 4GB with an additional 4GB for night (12AM to 6AM). Here’s a triple nine offer for all the Airtel Card users! You get 10GB data for 3G or 4G internet by recharging your phone with this amount. Use this amount to get an internet of 15GB 3G or 4G for a period of 90 days! Those with 4G handsets can claim for their free internet for 90 days. After 30GB, you get a speed of .64KBPS. Could this news get any better? This is the most amazing offer for all those Airtel card owners who want to have their internet working for 12 months. You get 6GB data with 3G 4G speed. Enjoy an internet speed of Rs.15GB 3G or 4G, 15 to 17GB data at a speed of 80KBPS and post 17GB, a speed of 10KBPS for a period of 28 days. Here’s awesome news for all the internet lovers out there – recharge your Airtel card with an amount of Rs.1749 and get 5GB data for 3G and 4G. After 5GB, you get a speed of 25p/MB. When you refill your card with this amount, you get an offer of unlimited local calls, along with 100 SMS per day, which is as good as unlimited. This offer remains for a period of 28 days. Don’t sit there waiting for a good internet offer, when you can refill your phone with Rs.2249 and get 7GB data for 3G or 4G speed. After 7GB, you have to pay 25p/MB. With this offer, you get unlimited local and STD calls. This pack also includes free roaming, along with 100 SMS per day. This entire pack is valid for 28 days and there’s nothing more you can ask for. If you have sufficient funds in your account, this is the only refill you need to use. You get an internet data of 15GB of 3G and 4G speed. After 15GB, you have to pay 25p/MB. You enjoy free roaming, unlimited STD and local calls, along with free 100 SMS per day. You can download unlimited songs and movies on Wynk Music and Wynk Movies. Want to enjoy uninterrupted downloads? Refill your Airtel card with Rs.3346 and enjoy an internet data of 20GB of 3G or 4G speed. You get an additional 20GB for night (12AM to 6AM). 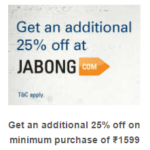 This offer is valid for 28 days. 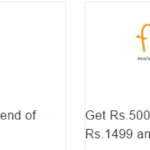 Now that you know about the different offers, select the one that’s best for you.